Both, along with VSC chief of experience Stacy Taaffe, worked at Sony's Metreon. 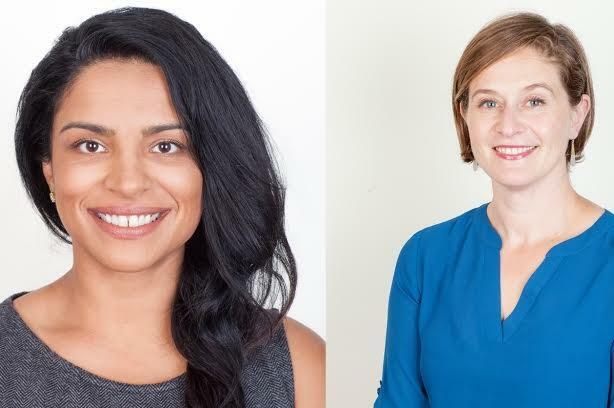 SAN FRANCISCO: VSC has added two roles to its senior leadership team and filled them with Sony alums Archana Chattha and Julia Konstantinovsky. The firm hired Chattha as partner and VP and Konstantinovsky as director of client strategy. They will support the firm, which focuses on the tech and enterprise industries, on strategic partnerships and client strategy, it said in a statement. Chattha, Konstantinovsky, and Stacy Taaffe, VSC’s chief of experience—a position equivalent to COO—all held marketing and communications roles at Sony’s Metreon, where they were clients of VSC. "It’s a bit like putting the old band back together again," said Chattha. Chattha has one direct report, the director of talent in HR, but she expects her purview to expand in the near future. Her responsibilities include "enhancing VSC’s ecosystem of partners, venture capitalists, influencers, and clients" and training agency staffers, according to a statement from the firm. "I see myself working with internal teams, understanding their docket of clients and the levels at which clients seek interaction beyond just journalists, whether that be meeting other clients and other people in the network that reaches beyond the VSC portfolio," Chattha said. Chattha added that VSC’s clients are moving beyond traditional ways to tell their stories. She identified emerging technologies such as AR and VR as opportunities for consumer branding experiences. In her new role, Konstantinovsky will work with all account teams on PR planning and "making sure their strategy aligns with what clients want accomplished in their business goals." Her role with also have a mentorship dimension, as well as retaining and recruiting top talent, said Konstantinovsky. Both report to CEO Vijay Chattha and Taaffe. "It adds another manager layer that uses my experience on both the account side and operations side," Konstantinovsky said. Konstantinovsky most recently served as VP at Atomic PR, which Grayling acquired in 2013. She left Grayling in June.